Aren’t they sweet? In addition to being an adorable touch to your tree, they are so quick to make! 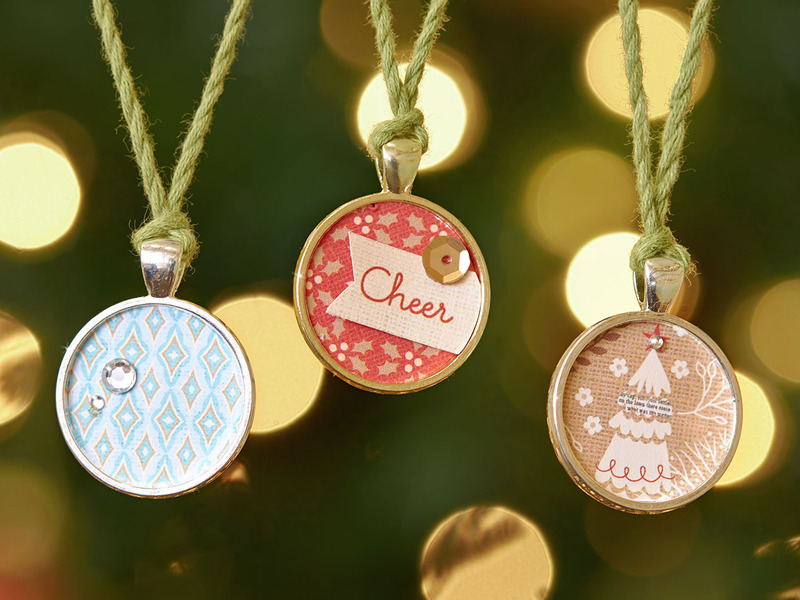 First, pull out your 1″ circle punch, and cut yourself a circle from your extra holiday paper. Using Glue Dots™, attach that circle to the center of a Base & Bling circle pendant—then embellish it to your heart’s content! Simple, right? All you have to do now is string a piece of twine—maybe Poppy or Fern—through the top and hang it on your tree! Unless you’d rather hang it on someone else’s tree! 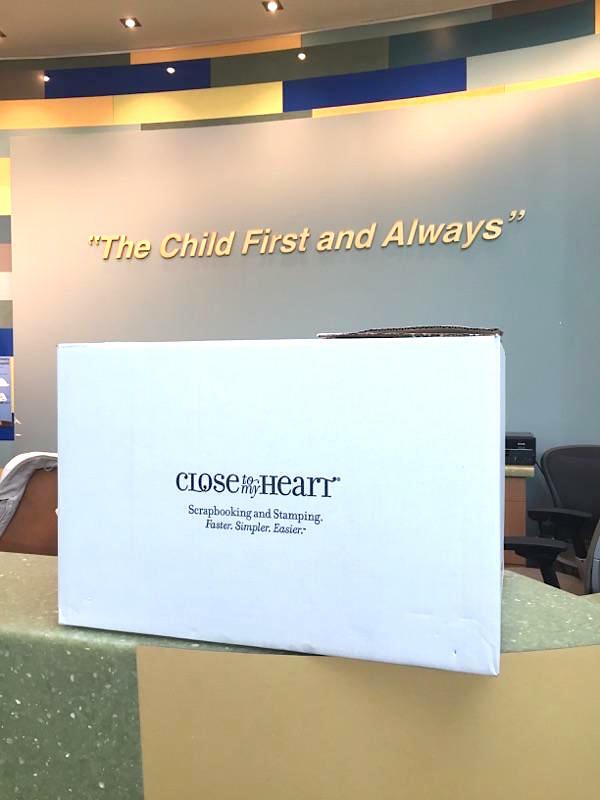 We recently had the opportunity to donate the materials for this project to Primary Children’s Hospital—a local children’s hospital that is always looking for holiday crafts to do with their patients. We gathered up some of our older holiday papers, Base & Bling pendants, Glue Dots, and twine, boxed up all the crafting fun, and took it to the hospital. We felt privileged to visit a place dedicated to helping kids feel happy and healthy! It’s rewarding to know that you’ve brought someone joy, even if it was in a small or simple way. If you’ve got a closet brimming with items you don’t use—and we know you do!—consider donating them to a worthy cause. That could be someone’s fundraiser, or else a local hospital, school, daycare center, church, or local arts program, just to name a few!